Mega Mewtwo X gains the Fighting type and a higher Attack stat when it Mega Evolves. It also has the Steadfast ability, which makes it faster after flinching. 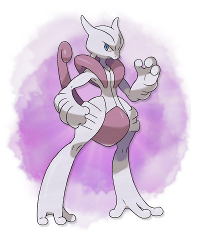 Mega Mewtwo X is exclusive to Pokemon X and Mega Evolves with Mewtwonite X.